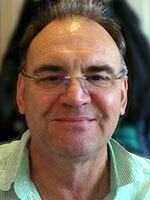 I have been in private practice as a counsellor and psychotherapist for over thirty years. I supervise and teach in psychoanalytic psychotherapy. I am committed to extending the provision of psychotherapy by experienced and politically aware practitioners as widely as possible across economic and social barriers. To book a session or ask any questions feel free to contact me directly.